Another good news! I'll wait to see more beautiful photos from this lens. Wow!! A very big congratulations, Stu. It looks beautiful. A big lens for big eagles!!! Go get 'em! Sod that - I'm nearly sick with jealousy! 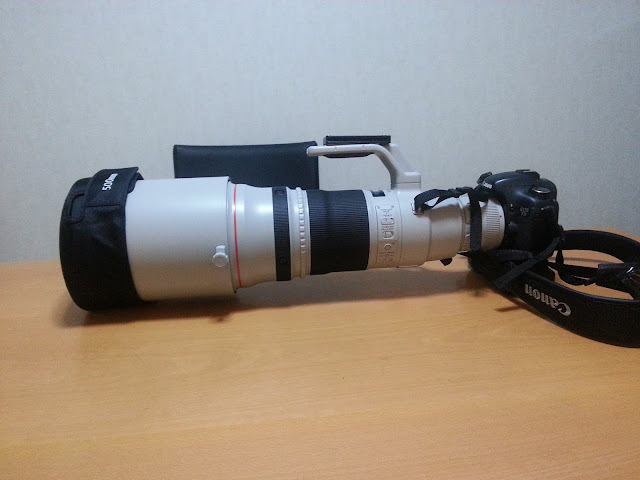 Mind you, it wouldn't fit my Nikon anyway. OR something similar, to protect it from "dings". Any camo colour and a hoodie, too. Looking forward to the results, with or without the cover ! Thanks for all the comments, I'm just about to take it out for the first time (so I hope there are some burds about!). I feel completely outgunned - enjoy!!!!!!!!!!!!!!!!! Hi Stuart Looks impressive, now you will have to come up with the goods! !